The Green Army Men want you! 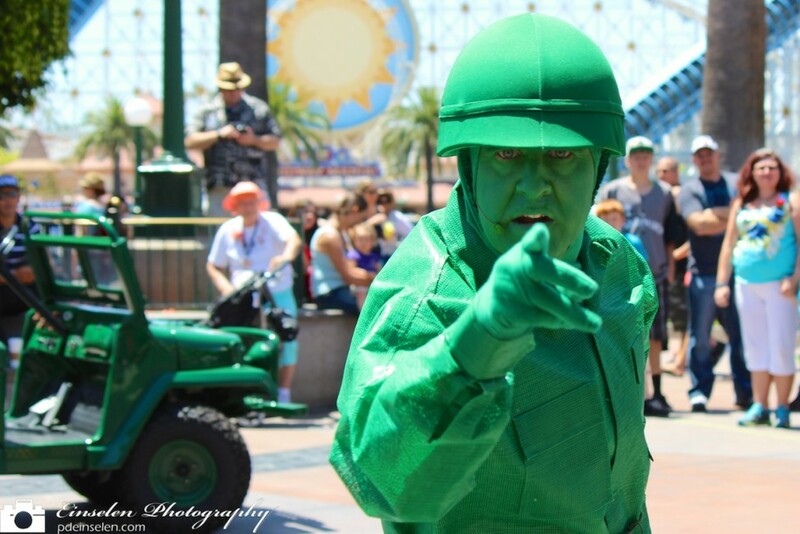 The Green Army Men from the Pixar Toy Story Films “recruit” for Andy’s Army multiple times per day at Disney California Adventure near Paradise Pier and Ariel’s Grotto. The “recruitment process” is around fifteen to twenty minutes long and includes many activities. They are a group of four men who arrive by jeep with a long flatbed. Recruitment activities including marching to drums, target practice and the most important training of all, freezing when people enter the room. Don’t think because you are an adult you are safe, as there is no age limit for the recruits! You can also catch more of the Green Army Men plus other characters from Toy Story and Pixar films during the Pixar Play Parade. Not sure, but this “recruitment” sounds more like a DRAFT.